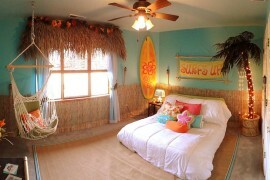 Your bedroom is a personal haven that can be shaped in many different ways to suit your specific taste and needs. 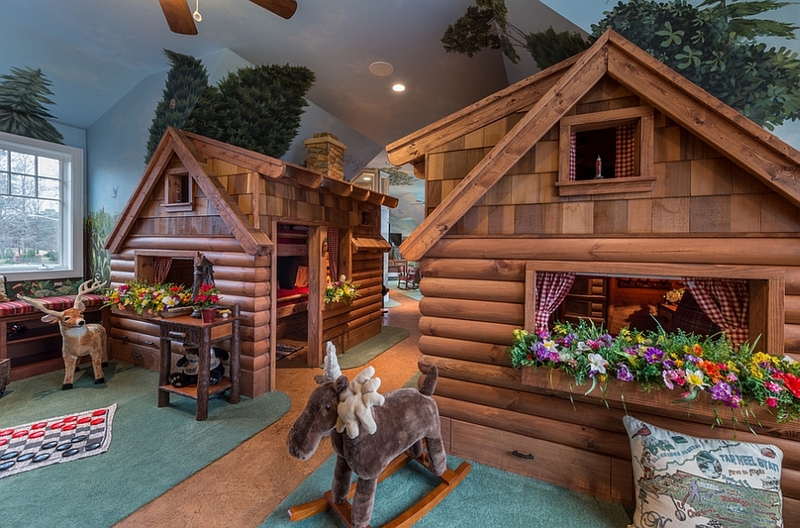 Obviously, the design of a kids’ bedroom should be no different, and often a compromise between what the little ones want and the look or theme you can pull off is the best path forward. 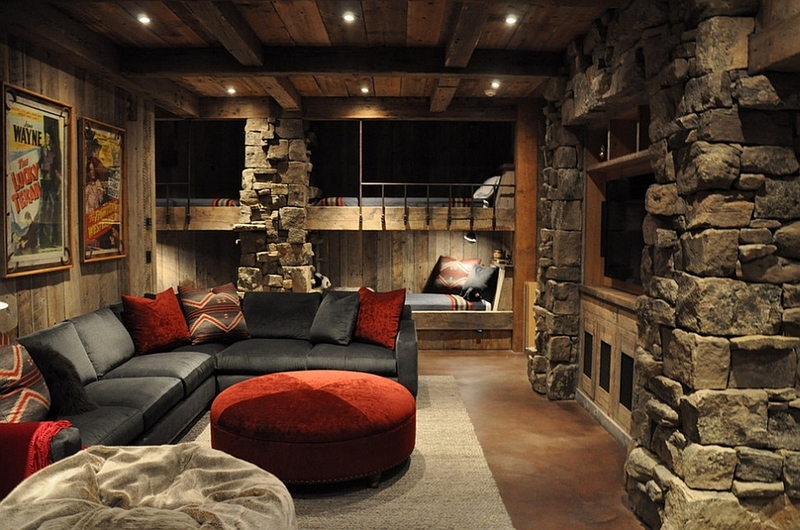 While most kids’ bedrooms seem to embrace the clean, contemporary look, try a fun, comfy twist this winter by giving the modern rustic style a shot. 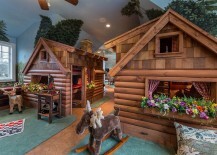 It is also a perfect way to replicate the fun memories of your holiday trip to the woodsy winter cabin, and it creates a dreamy, natural escape for your child. 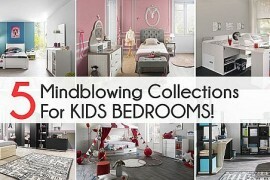 Admittedly, kids tend to outgrow bedroom styles, colors and themes pretty quickly, and hence it is best to pick a basic style that can be revamped easily down the line. 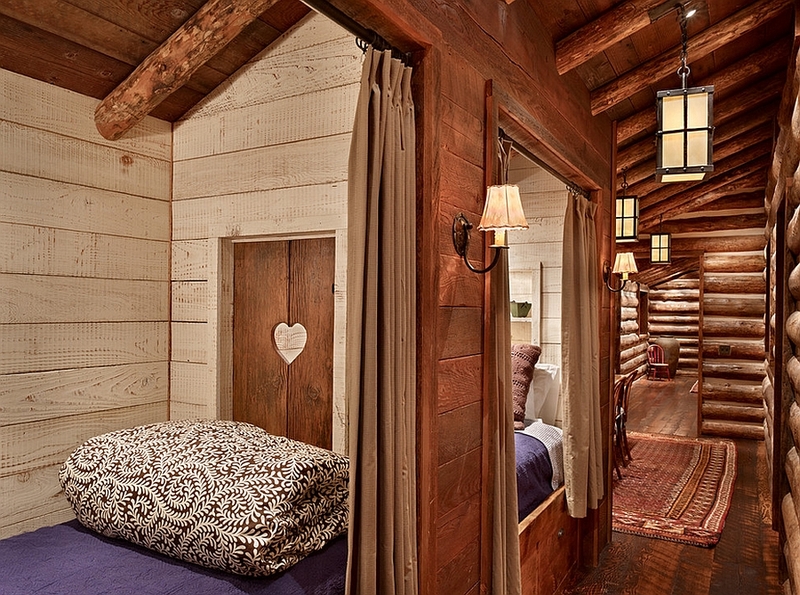 The beauty of the rustic bedroom lies in the fact that it can seamlessly blend in with other styles to create fun, ingenious new spaces. 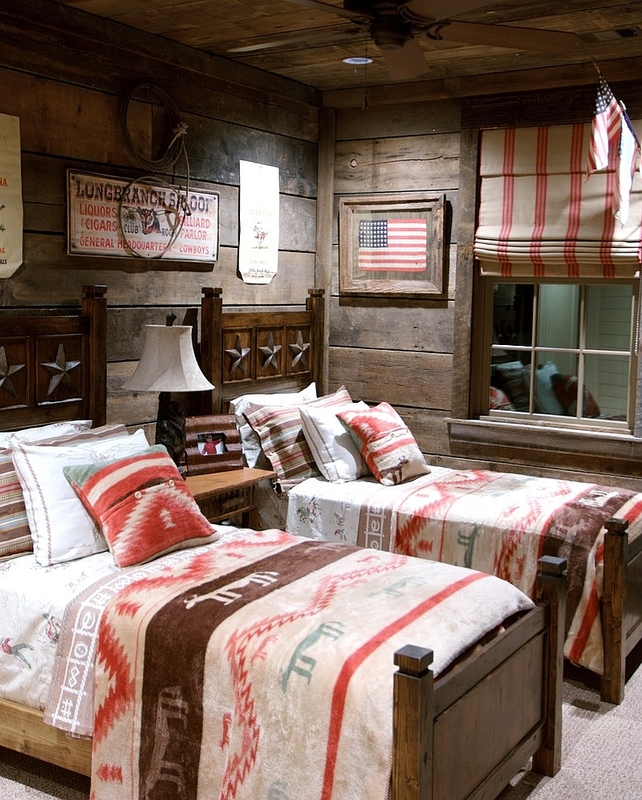 Here are 20 gorgeous rustic kids’ bedrooms that put many adult bedrooms to shame! 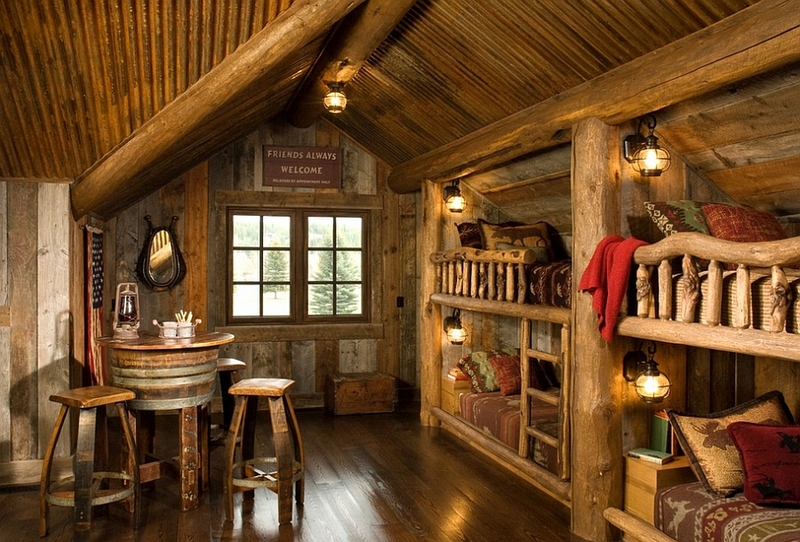 Think of rustic style, and the first thing that comes to mind are large logs and rough wooden surfaces that define the walls and the ceiling. 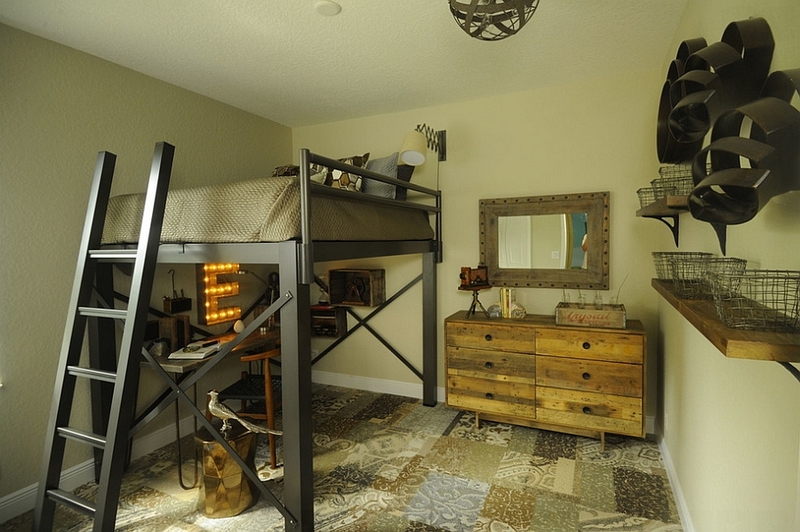 While such a look is not natural for most modern homes, you can give your kids’ bedroom a special makeover by adding a few beams to define the ceiling and add warmth to the room. 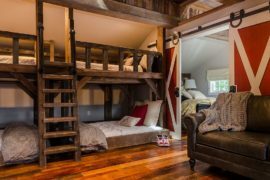 One of the best ways to go about this is by turning the attic into a cool kids’ bedroom, as the sloped ceiling adds to the rustic style. Apart from ushering in the winter cabin look that you are after, wood also adds plenty of textural contrast to the space and gives the bedroom a soothing yet fantastic ambiance. 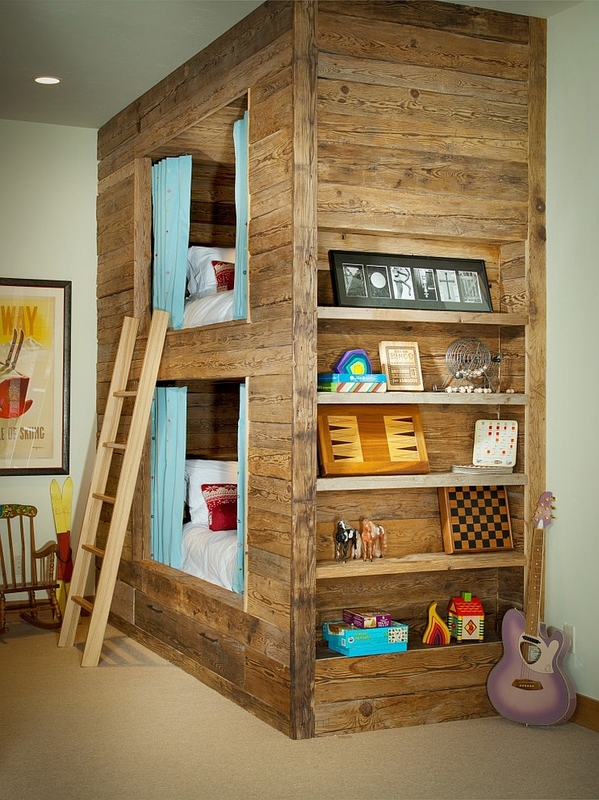 The cabin-inspired rustic kids’ bedroom is also a great idea for all those sleepovers, as bunk beds are often the norm in such rooms. 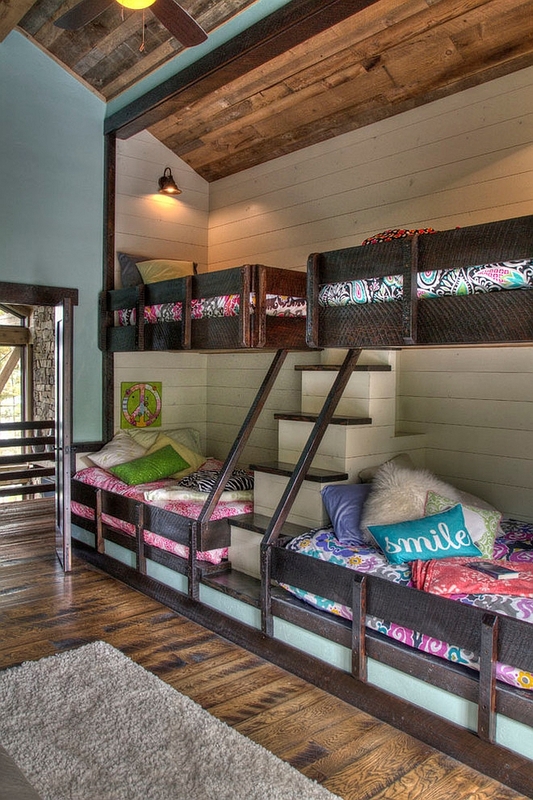 Families with more than a couple of kids can also turn towards this style, which allows you to create a wall of bunk beds, complete with ladders and built-in steps! 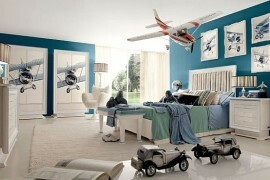 With some additional space and the right storage units, this bedroom will also easily double as the perfect playroom. 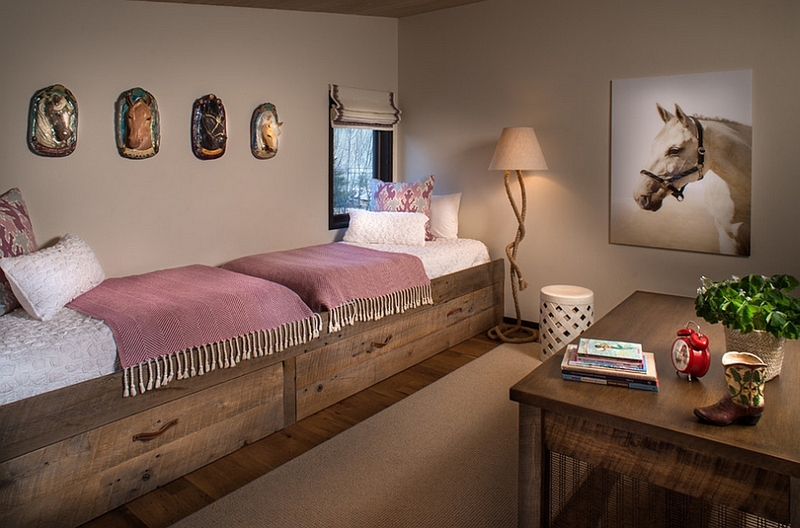 We are a big fan of bedrooms that combine modern aesthetics with the classic rustic style to create flowing fusion between the two. 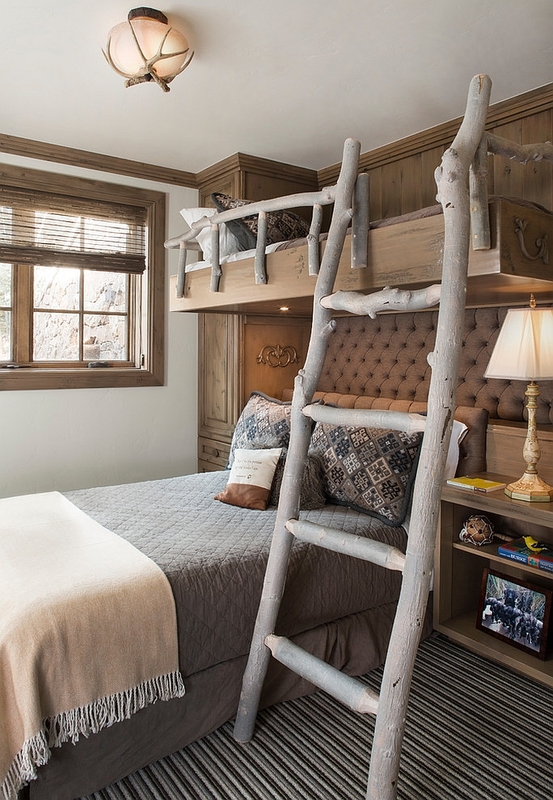 Shaping a kids’ bedroom that is both refined and rustic is a lot easier than you think, and it gives you a room that grows along with the needs and choices of your child. 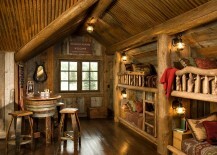 Instead of heavy wooden elements and weathered surfaces, opt for more modern decor and accessories. Add a reclaimed bedside table or a wooden headboard that makes a big statement in the modern room. 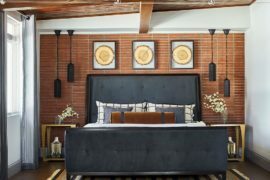 The important thing here is to keep the color palette warm and earthy and the bed frame rustic while adding a few modern touches to the room. 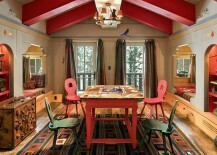 Rustic does not mean old and worn out, and in the case of kids’ bedrooms, you sure could do with some color as well to spice up the setting. 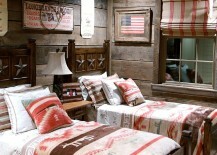 Bedding and pillows offer an easy way of adding plenty of color to the rustic bedroom without actually altering the overall appeal. 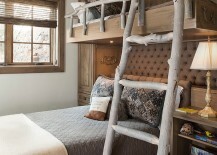 Also think of creative ways in which you can give the room a fun little twist with unique bunk bed designs, play nooks and ladders that steal the show! Add a splash of pink and a h rug in white to give the girls’ bedroom a touch of femininity, while a minimal metallic bed frame in the boys’ bedroom gives it a cool industrial vibe. It’s all about thinking ‘out of the box’!